Want to Improve Your TACHS Score? The TACHS is comprised of four main topics. 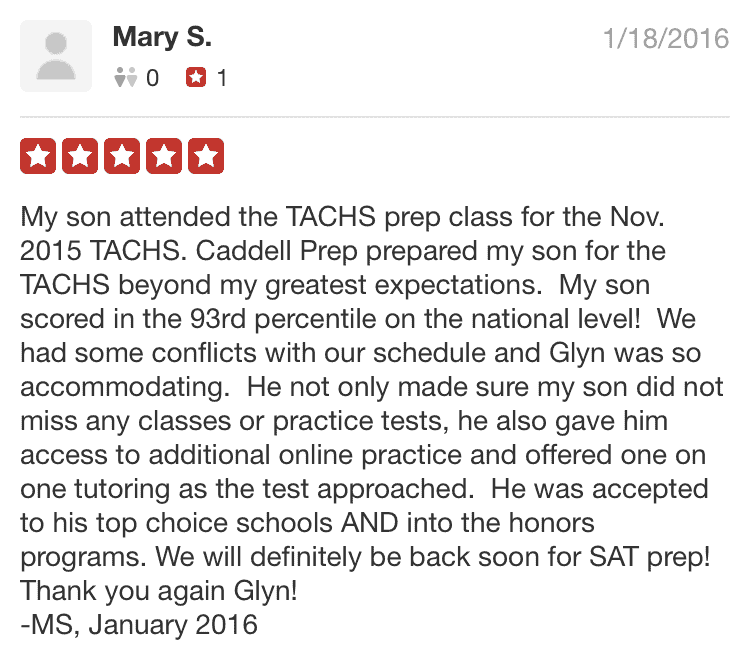 TACHS Prep is essential to helping students get into their top-choice Catholic high school choices. 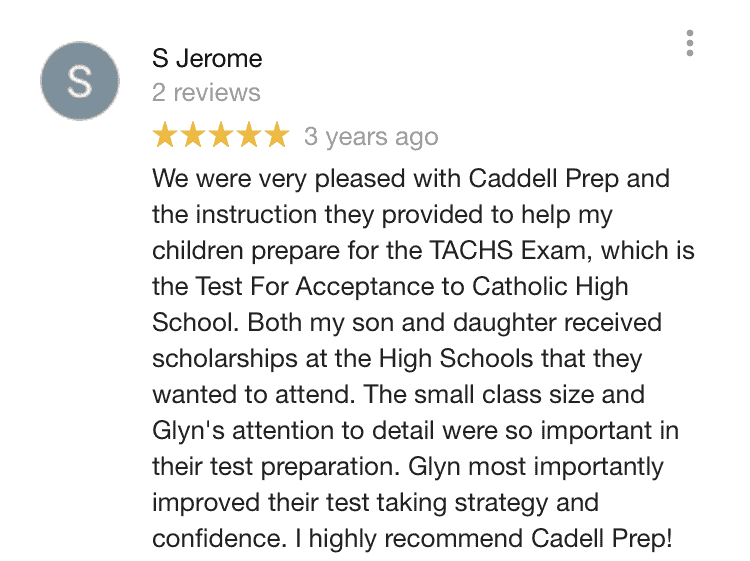 The TACHS (Test for Admission to Catholic High Schools) is used by most New York Catholic Schools to determine admission into schools and placement into classes, such as Scholars or Honors. 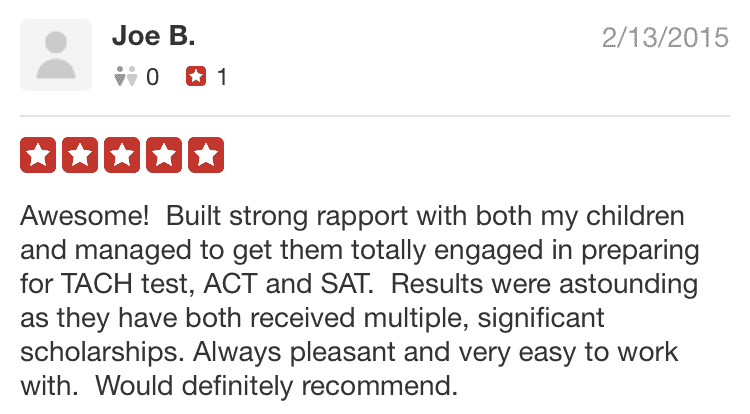 High TACHS scores can even help students receive full or partial scholarships, saving parents a lot of money every year. The four main sections on the test are: Reading, Language, Math, and Ability. The Reading section tests reading comprehension. Vocabulary was eliminated from the TACHS. Language tests students’ knowledge of spelling, capitalization, punctuation and usage. Math covers many topics including: fractions, percents, data analysis, and word problems. The ability section will be new to many students taking test, since the concepts are not covered in most schools. The ability section tests students’ abilities to find patterns/relationships in a series of images and ability to visualize what a piece of paper will look like when it is unfolded, after being folded and having holes punched through. Just knowing what sections are on the test isn’t enough to prepare for the test. Reading, language arts, math and ability are very broad topics. Our online course or tutor will be able to guide students the specific topics that are most important on the test. For example, language arts encompasses many different rules. It would be inefficient for a student to try and study all of the rules that were learned or try to memorize the spelling of every word. Instead, we provide a study guide as far as what needs to be known for the test. Some students in NYC may plan on taking the SHSAT and TACHS in the fall of 8th grade. It can be confusing since the tests are different, but some of the topics overlap. We created a post that discusses how to prepare for the TACHS and SHSAT at the same time. A common question that parents and students ask is “How do I pass the TACHS?” The answer is that there is no passing or failing grade. A students TACHS score is part of the application to a Catholic high school. The admissions officer reviews the TACHS results along with school grades and possibly other information, such as sports performance or teacher recommendations. The TACHS test previously included a section that tested vocabulary. The section has been removed from the newest version of the test. However, vocabulary is still important. We have TACHS vocabulary flashcards and quizzes to help you memorize the meanings of words that may appear on the test. Even though there isn’t a vocabulary section on the TACHS exam, knowing the definitions of the words is important for reading comprehension. Familiarity with the words will also help identify misspelled words in the language section.